Know your ‘WHY’ . Here is an opportunity for you people to experience combination of Jungian Psychology and Psychodrama. Jungian psychology utilises Symbolic Images and Stories as found in Dreams, Fairytales, Epics, and Myths which can be used to further connect the individual to society, history, and the entire universe. Psychodrama is essentially a group action method that helps a person to embrace one’s own capabilities. This could be used in clinical setting (hospitals, therapy centers), non-clinical setting like a business establishment in team building, conflict management, stress management, identifying and working with stress, improving communication, building trust, identifying issues etc. This is a spontaneous and creative method which is used by certified psychodramtists who is otherwise called the Psychodrama director. A director enables or facilitates a re-enactment of real life situations, past incidents / situations or an inner mental process but, acting them out in the present time. 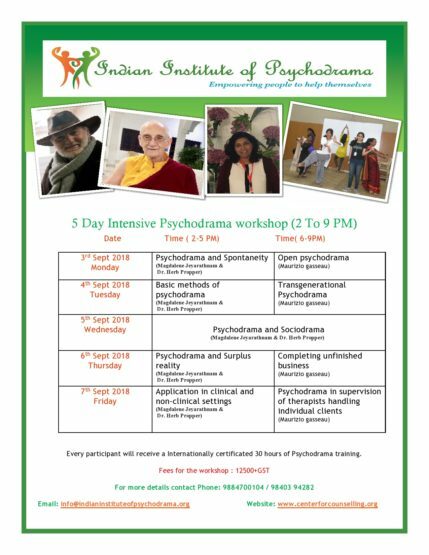 For those who will not be able to attend full day during 3rd, 4th, 6th, 7th Sep 2018 , you can attend the evening workshops (3rd,4th,6th,7th Sep 2018) for Rs.8000 (Incl GST). 8th (Sat) & 9th (Sun) Sep 2018 Psychodrama on Dreams & Fairytales, Legends, Epics, Myths. If you are working as a trainer, therapist, team leader, life coach or mentor, if you like a safe space to process your own “stuff”. This is the workshop for you. Those looking to do group therapy sessions for personal growth. 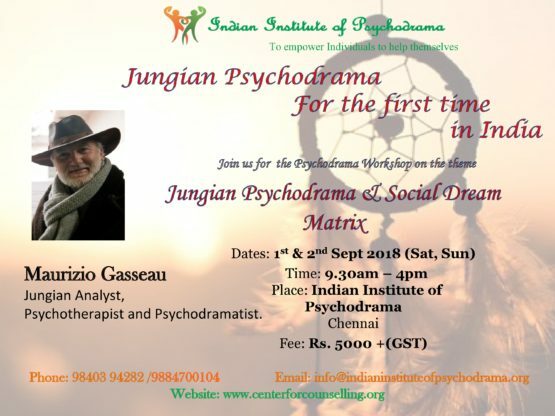 Those who are curious about the Jungian psychodrama method can also attend. He is a Past-Chair of the Psychodrama Section and Board member of International Association of Group Psychotherapy and Group Processes (IAGP).In 1996 he founded the Mediterranean Association of Psychodrama with the task to develop psychodrama in the Mediterranean countries and to use Psychodrama and Sociodrama as tools of working on conflict and to facilitate the encounter among the different Mediterranean cultures.He is currently the President of the Mediterranean Association of Psychodrama. He is the Director of the Jungian Psychodrama Training Program, Ali Baba Oglu, in Istanbul (Turkey).He is the Director of the PostgraduateSchool of Group Psychotherapy, University of Ivrea (IPAP), Italy. He has given presentations and/or conducted workshops at Conferences on Psychodrama and Group Psychotherapy in the University of Buenos Aires (Argentina), Porto Alegre (Brazil), Santiago (Chile), London (England), Istanbul (Turkey), Nice (France), Innsbruck (Austria);and Rome, Palermo, Turin, and Florence (Italy).Since 2012 he has been conducting training groups in Egypt, Palestine, Turkey, Greece, Poland, Spain, Sicily, Argentina, Brazil, Chile, Ukraine, and Jordan.He received the FEPTO Excellence Award in 2017.He is the author of more than ninety publications. Magdalene Jeyarathnam, has worked for almost 25 years as a Counsellor, Supervisor and Trainer. She is an Expressive Arts therapist and completed 800 hours of psychodrama training to become an Australia and Aotearoa board(ABP)certified Psychodramatist. She has worked as consultant to several governments as WHO and UNICEF consultant. She is a member on the Board of directors of the International association of Group Psychotherapy and Group process. 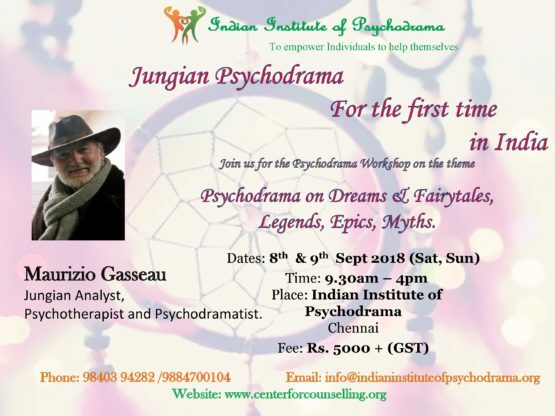 She is a faculty in Indian Institute of Psychodrama which she founded in 2013 after working in bringing world class psychodrama trainers since 2009. 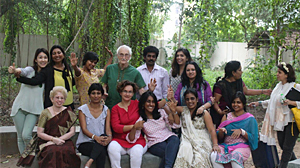 She is also the Director of East West Center for Counselling and Training which is an Expressive Arts therapy Center based in Chennai, India. Dr. Herb Propper Ph.D., T.E.P. is a Trainer Educator Practitioner of Psychodrama, Sociometry and Group Psychotherapy, certified by the American Board of Examiners. He has 37 years of experience in the field. He currently maintains a part-time private practice as therapist, trainer and consultant, in residence at Kagyu Thubten Chöling Tibetan Buddhist monastery in Wappingers Falls, NY. He is a member of the American Board of Examiners, and a fellow of the American Society of Group Psychotherapy and Psychodrama(ASGPP).He has presented numerous workshops at conferences of the ASGPP. In 2010 he received the President’s Award for his efforts in introducing psychodrama and sociometry in Bangladesh. In 2013 he received the ASGPP’s J.L.Moreno Lifetime Award for his contributions to the field. In 2011 he was elected Associate Member of the Bangladesh Clinical Psychology Society. Herb is a 2009 Fulbright Scholar to Bangladesh. 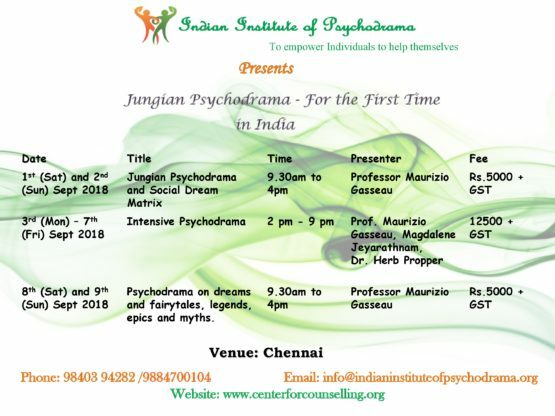 Since 2009 he has offered training workshops in Chennai, India, under the auspices of the East West Center for Counselling and Training until 2013, afterwhich he is a faculty and principal trainer of Indian Institute of Psychodrama.